sometimes in life, the good things are hard work. success, love, happiness… what you invest is what you get. that’s just a general rule of thumb i acquired. other times, things just fall to you. and happiness comes easily. 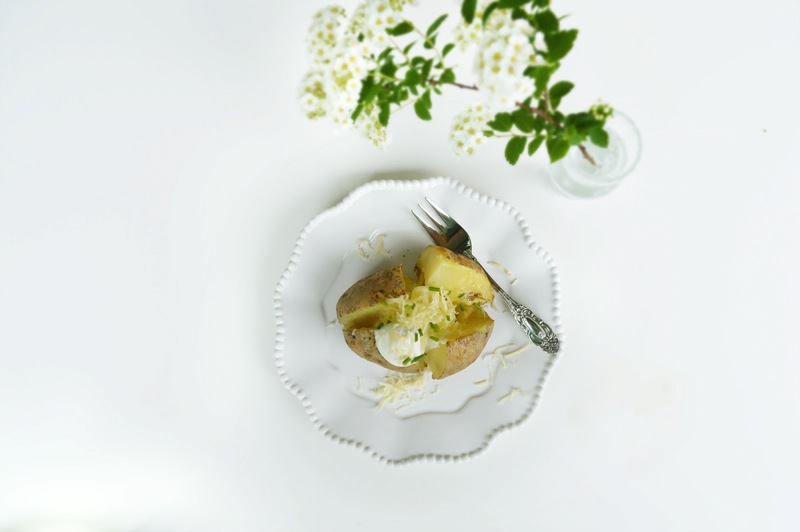 sometimes, a plain old baked potato with cheddar is all it takes to find bliss. even on a lonely, rainy night in. did you know i’ve discovered my new on demand digital tv box..? i fear it’ll be my ruin… i’m obsessed. with downton abbey. and new girl. and… oh, only one ore two other trashy series… it’s so comforting. add a baked potato (or two) and i’ll never complain again, i promise. 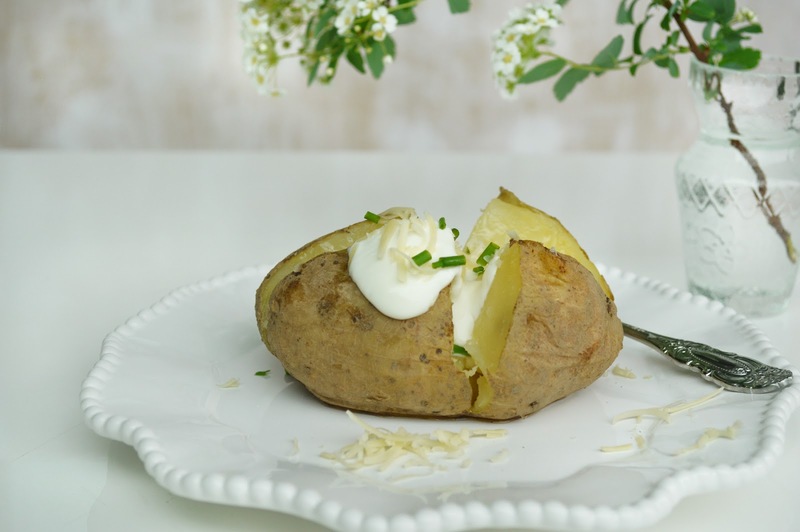 preheat the oven to 220 degrees c / 380 degrees f. wrap the potato with foil and bake for one hour, at least (or a bit more, depending on its size). 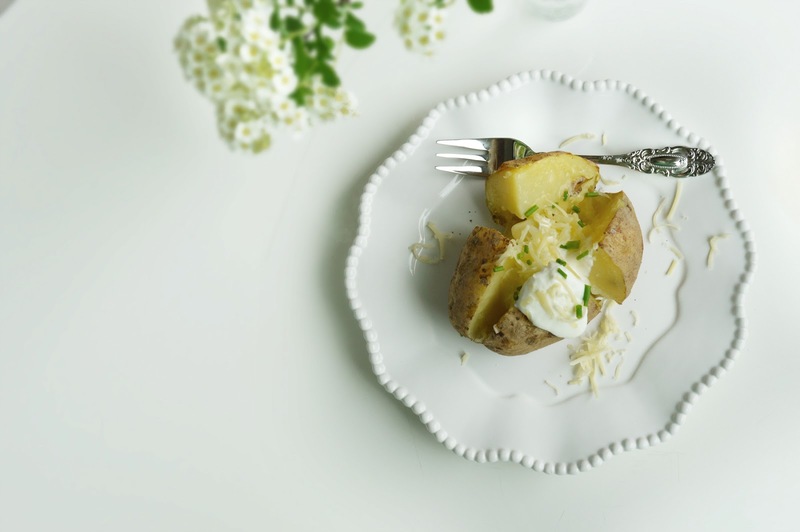 add a generous dollop of crème fraîche, chopped chives and cheddar (hey, nice alliteration, buddy!) and enjoy. ps: i might or might not eat the potato skins, too.